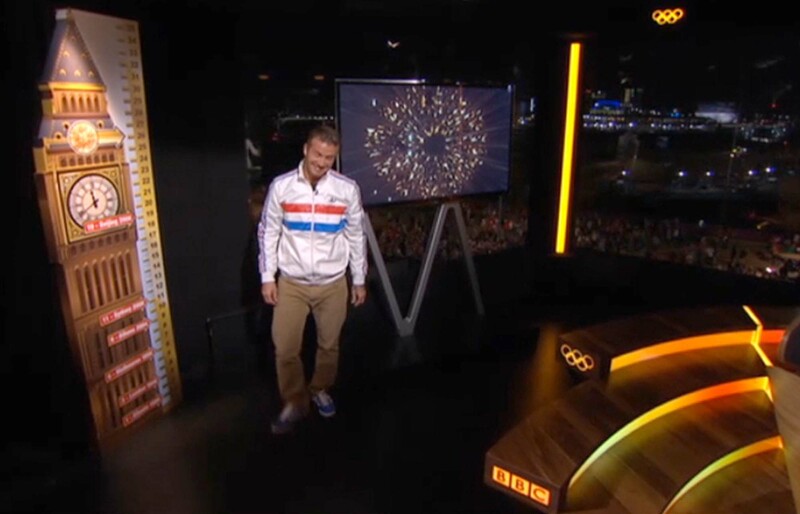 Hive were commissioned to design and produce some hard set for use on the BBC’s ‘Olympics Tonight’ TV studio set. The late night chat show hosted by Gabby Logan, rounds up the days events at the London Olympics. 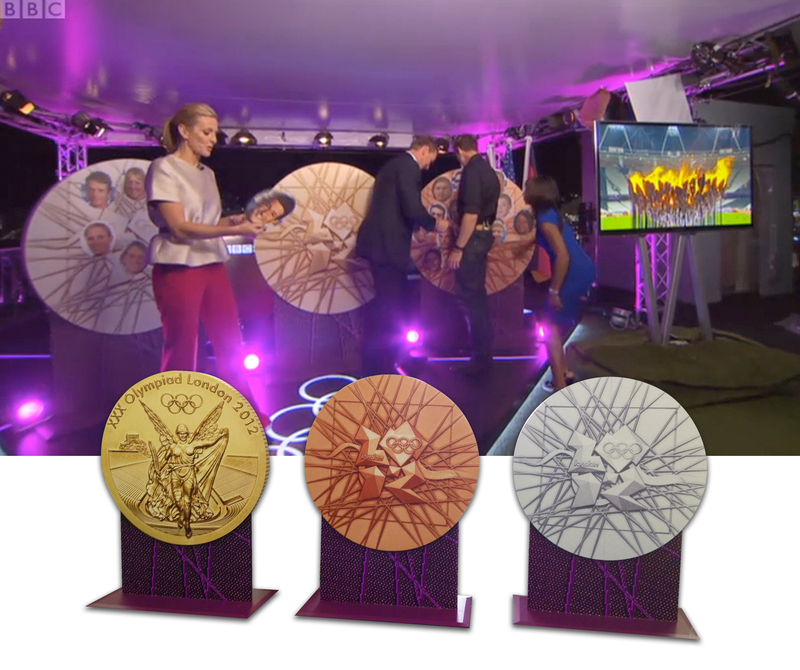 Working closely with the programmes producers we created a magnetic version of the iconic London ‘Big Ben’ and giant Olympic medals, along with faces of all the athletes taking part. The Big Ben scoreboard was used to tally the running total of medals won at the games, with an arrow that moved up the totalizer. The 3 giant medal boards were used as scoreboards at the end of the programme, by adding the face of each athlete who had won a medal that day, measuring the outstanding success of the British athletes.